If it becomes official, Messenger Broadcast will allow advertisers to send broadcast marketing messages to Facebook Messenger users. Facebook is constantly looking at new ways to monetise its Messenger chat platform which reaches 1.3 billion of its 2 billion strong users base. 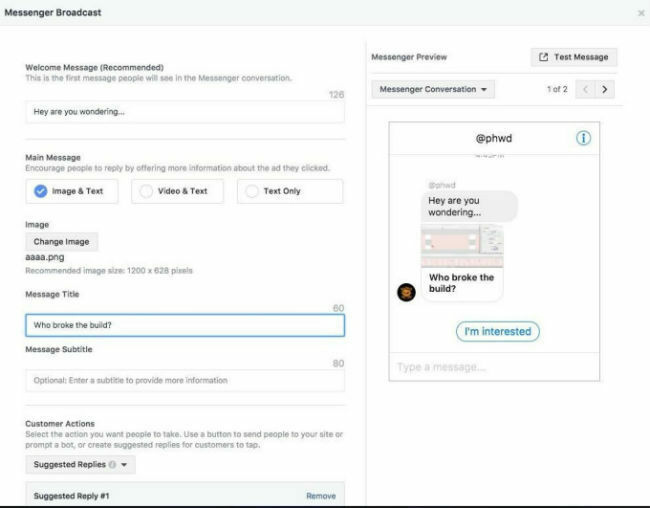 After announcing a business to consumer interface on WhatsApp, Facebook is now developing a new feature which will allow advertisers to send broadcast marketing messages to users on the Messenger chat platform. 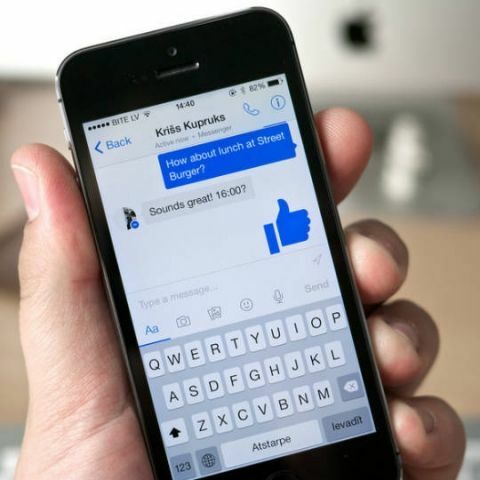 TechCrunch reports that Facebook's 'Messenger Broadcast' feature will allow businesses to send marketing messages to users, provided they initiate contact with the business on Messenger first. Facebook has confirmed that it is testing the Messenger Broadcast feature internally, however the social network has not initiated any trials with consumer or businesses yet. Images of Messenger Broadcast’s interface have also been shared by the publication. The pictures show options for businesses to include a welcome message, a message title, subtitle, as well as a call to action to the user. The call to action can vary from visiting the business’ website, starting a chat with a Messenger bot or sending a preset reply written by the business. Further, businesses will be able to send these broadcast messages to a set number of free users. Facebook could monetise this by offering a higher paid reach, a model the company already follows for content publishers and pages. While Facebook may be looking to further monetise Messenger, it cannot afford to make it a pesky service. Too much advertisement on Messenger could lead to a decline in its user base, so businesses on Facebook will only be able to contact users through Messenger Broadcast if a conversation is initiated by users first.